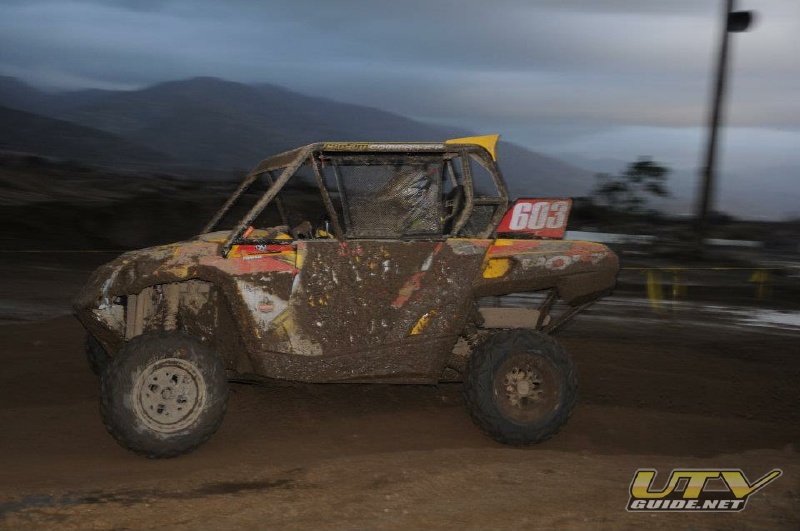 This year for WORCS UTV racing there are still three classes: Class 1 (up to 1000cc), Class 2 (up to 850cc) and Class 3 (up to 705cc). 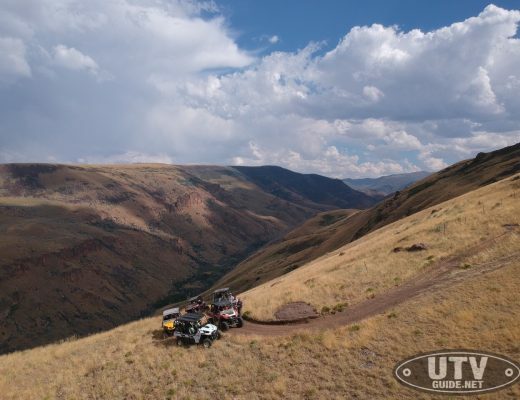 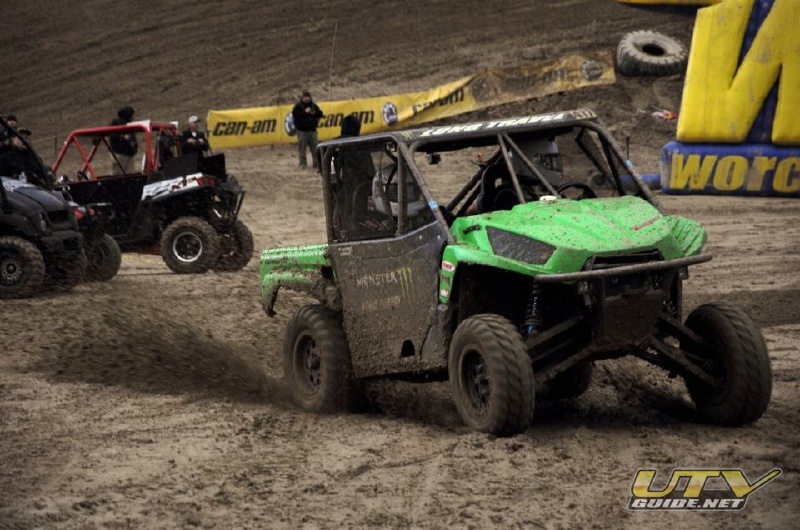 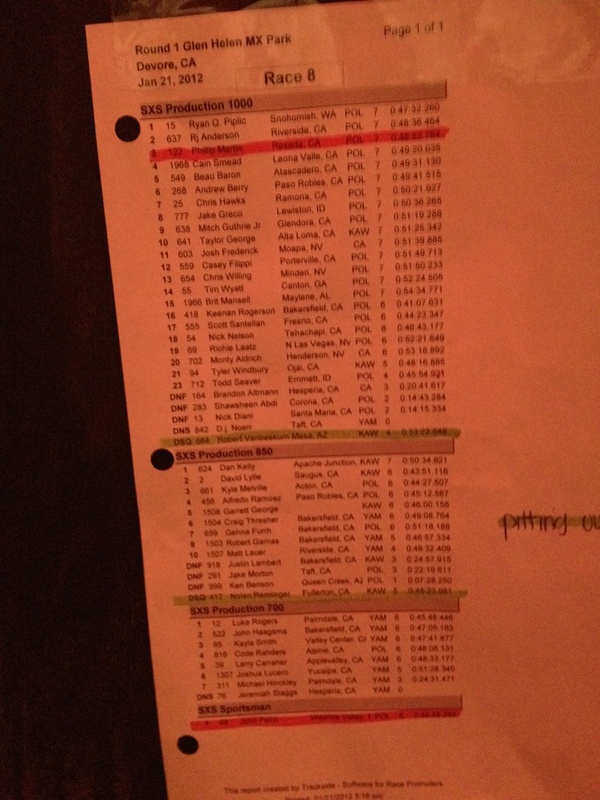 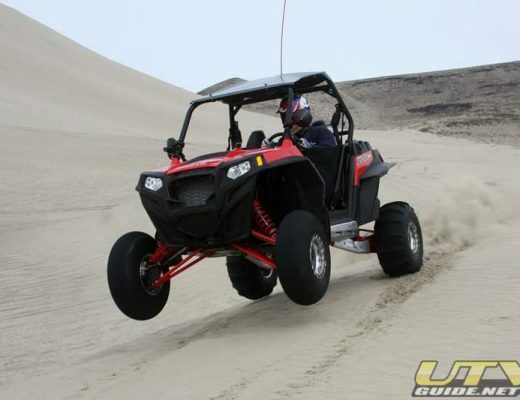 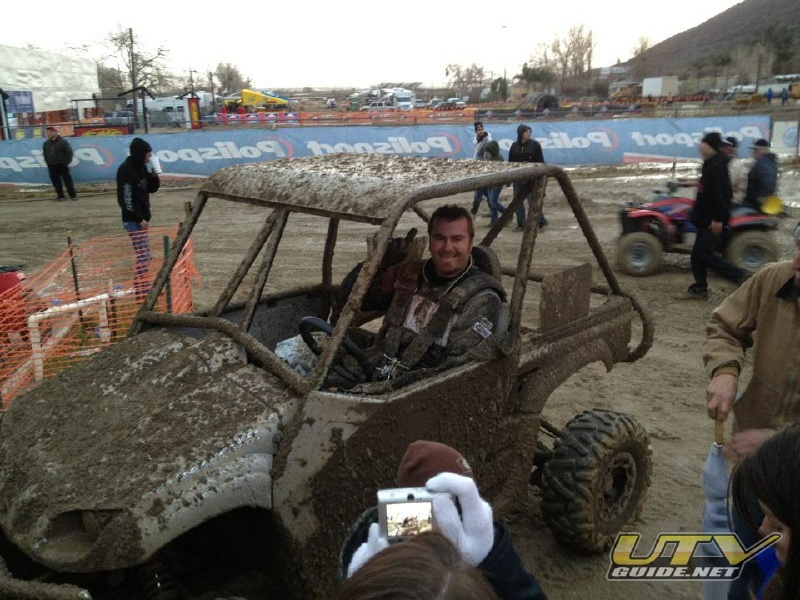 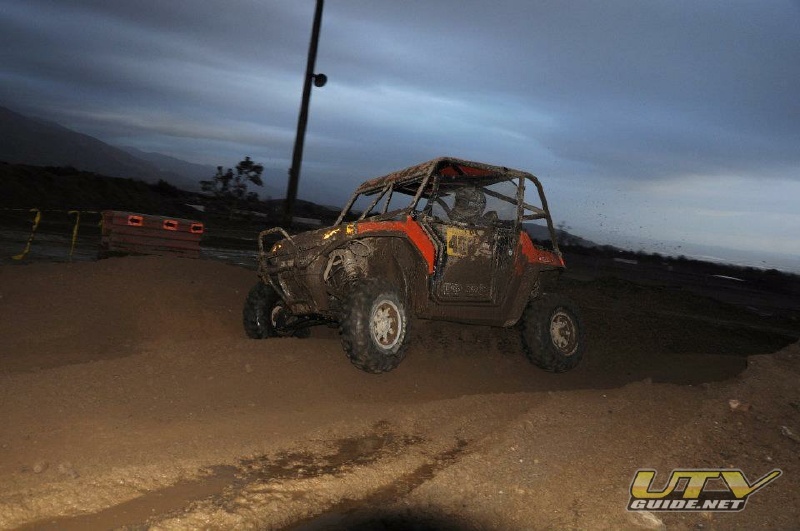 Included in the mix were a staggering 27 Polaris RZR XP’s in Class 1! 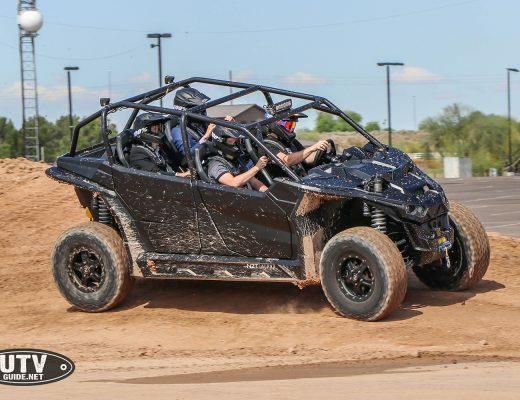 WORCS is migrating to International Side X Side Association (ISA) rules and a few of the ISA board members were on hand doing courtesy tech inspections. 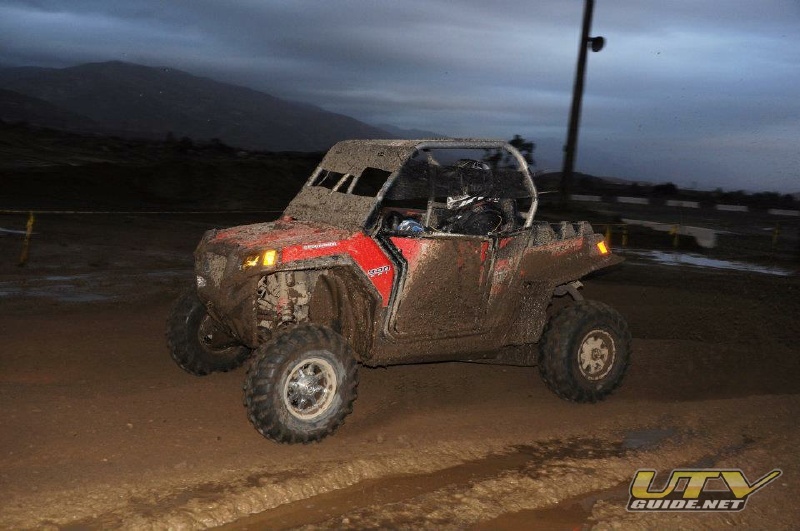 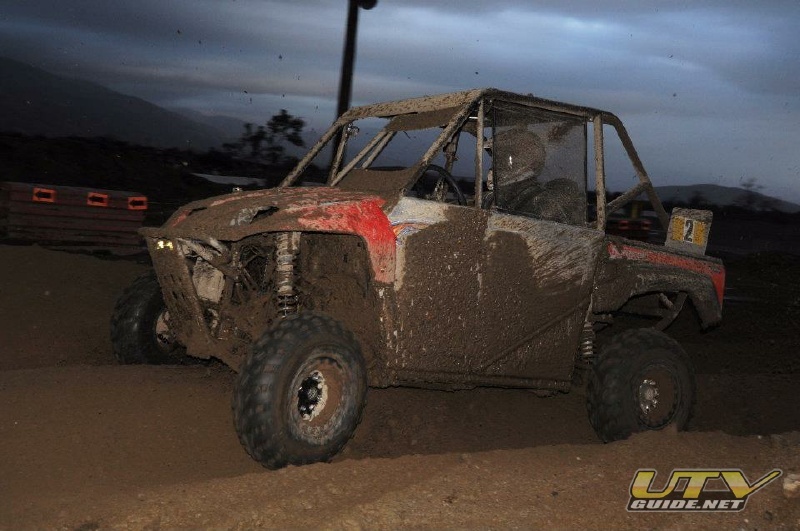 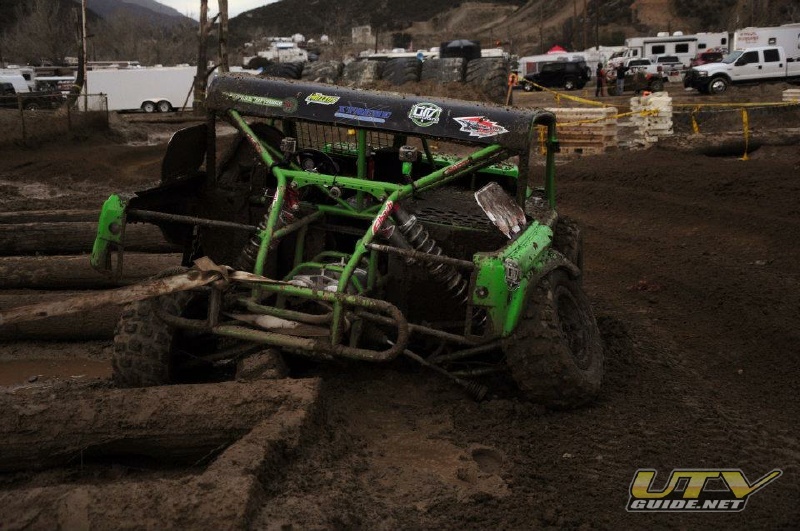 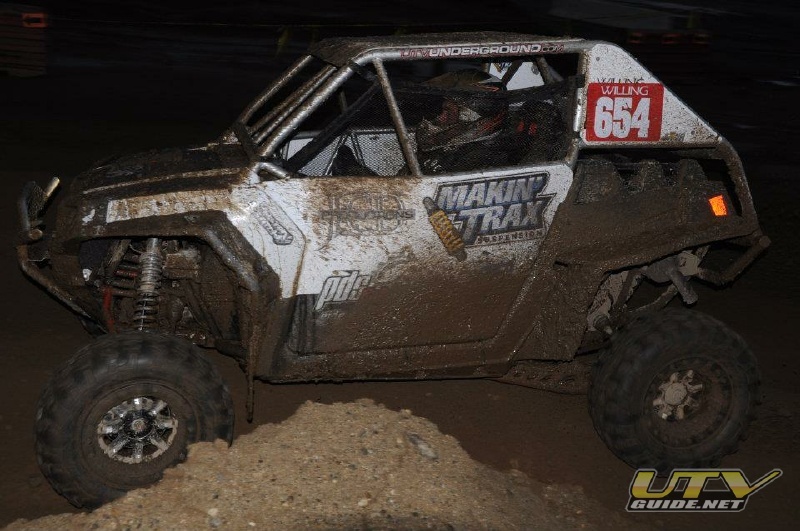 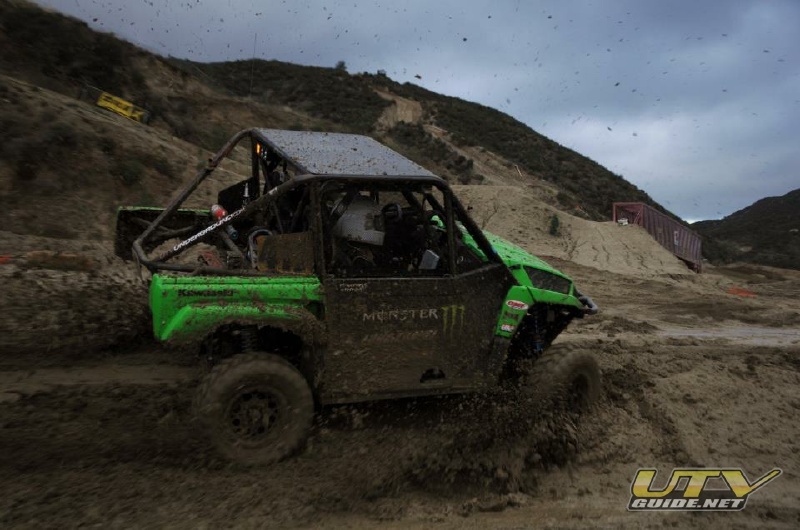 Rain fell hard overnight before the race, so the course at Glen Helen Raceway was a muddy mess. 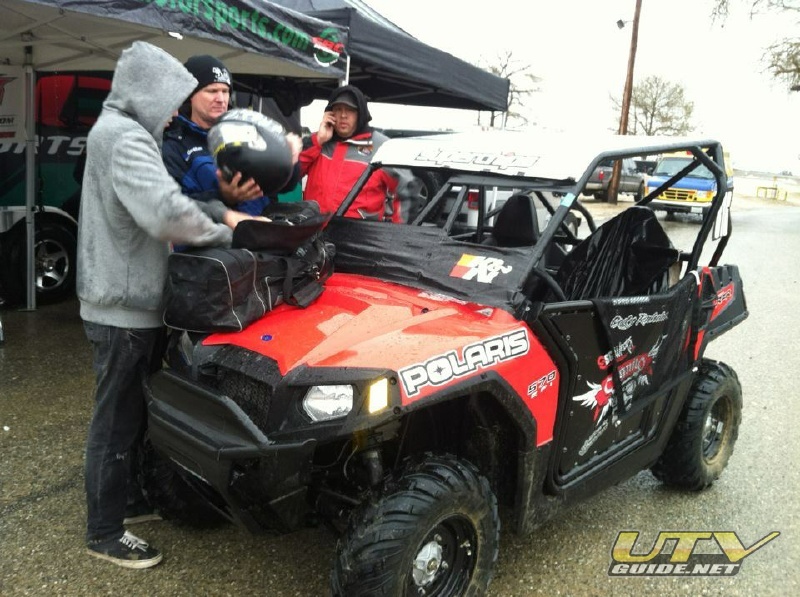 In Class 3, Cody Rahders has teamed up with Polaris, Cognito Motorsports, UTVUnderground.com and FOX to campaign the 2012 season in a new RZR 570. 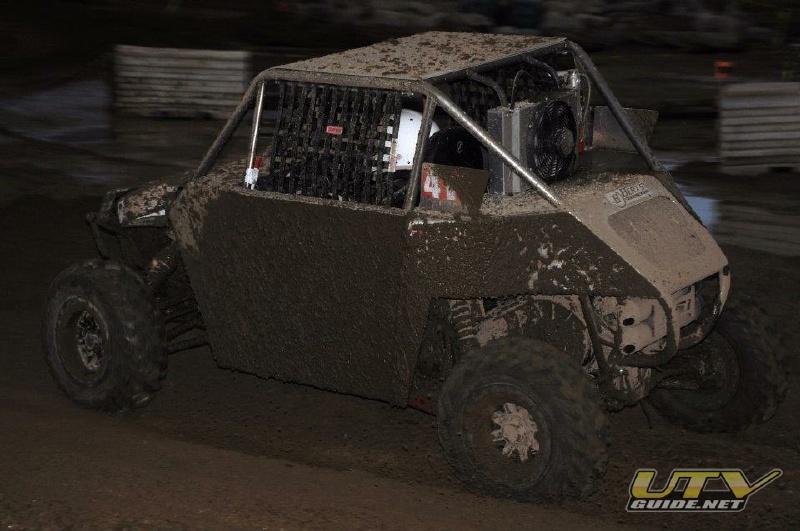 This was the first race in the new car, and it was raced in nearly stock form, just a cage and Pro Armor doors. 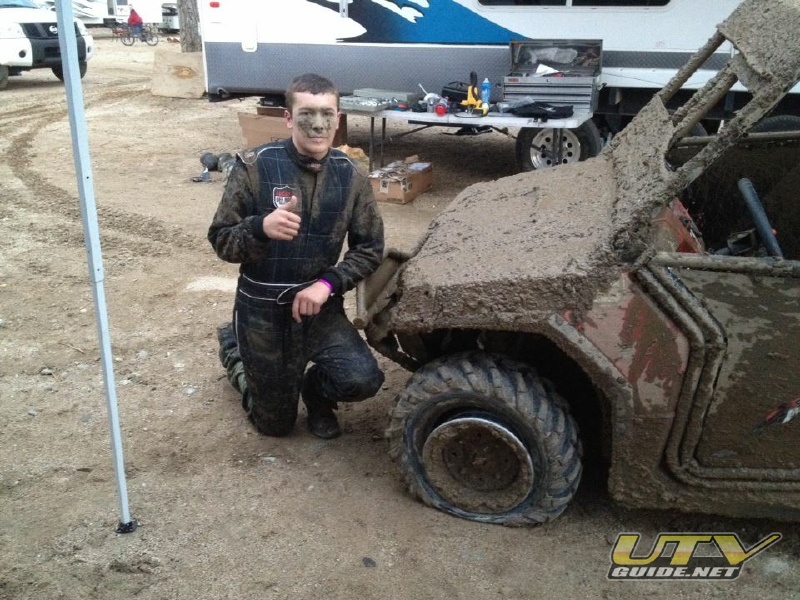 He suffered a blown bead on his front tire and still finished fourth. 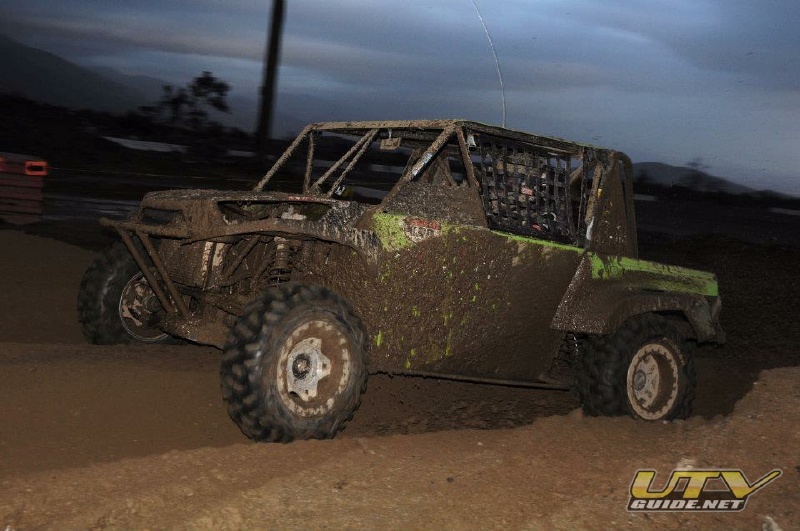 Once this car gets a Cognito long travel with Fox shocks, watch out! 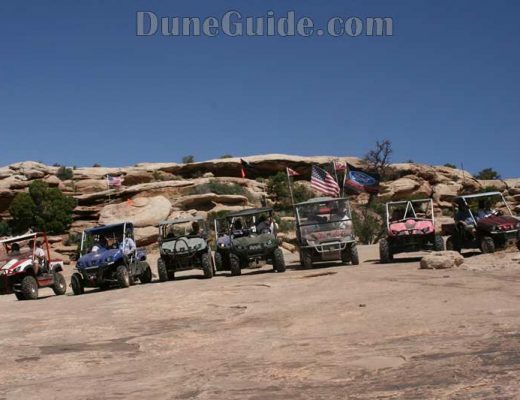 Special thanks to Rusty atFatography and Wally atWallyworld Adventures for many of these images.